This edgy but classic take on the star has been transformed by a simple flick of the star making this cool pendent 3-dimensional. 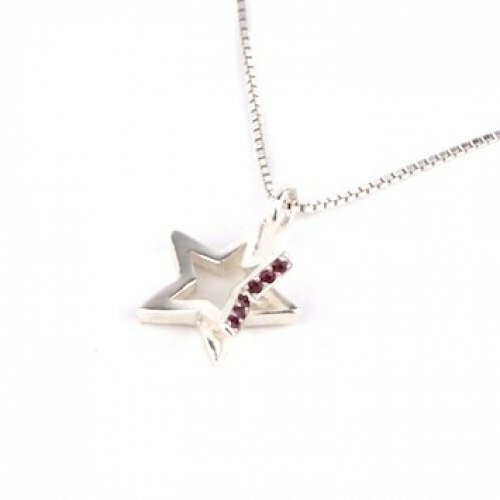 Crafted in sterling silver with 6 tiny rubies. Also available in 18kt yellow gold vermeil and rose gold vermeil.